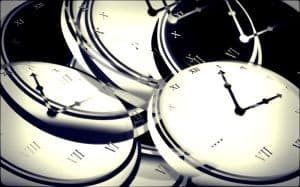 Is Starting Your Social Media Campaign Too Early a Huge Mistake? Everyone wants to jump on the social media bandwagon, especially small businesses, entrepreneurs and marketers. And can you really blame them? According to Joes Blogg, nearly 60% of adults maintain a social media profile and 33% post at least once a week. Facebook alone has 800 million active users with 50% of those users logging in on any given day. Who wouldn’t want to tap into that? There’s just so much potential between connecting with new people, generating leads and making sales. But is it possible to tap into social media too soon? I’m sure I’m not the only one to quickly launch a website, and then spend most of my time trying to get 25 likes for my vanity URL. In hindsight I think the time would be better spent building a quality resource for my visitors to bookmark and come back to. The thing about social media campaigns is that they take time. Connections aren’t made overnight, but instead are made over time with consistent effort. You need to interact with your user base by sharing content, handling complaints and initiating discussion. However, the time spent with social media will conflict with the time you could be spending on your site. The real problem is that if you start a social media campaign and then double back to work on your site, you could leave your fans and followers feeling neglected. They’ll quickly leave to join someone else that can give the attention they feel they deserve. So instead of worrying about social media in the beginning, I think you should put it on the backburner and focus on your website instead. Your efforts here will compound. Let me explain further. Creating (good) content is one of the most important things you can do with your time for a brand new site. At the very least you’ll show search engines that your site is regularly updated so that it can be crawled often. Content will also generates new traffic, as well as gives your existing readers a reason to come back to your site. One problem with focusing on social media first instead of the content on your site is that you’re not building an asset — something that you own that may be worth something one day. What would you do if Facebook bit the dust? Probably the same thing you guys still using Blogger would do if it crashed — lie down in the fetal position and weep quietly to yourself. If (when) this ever happens, all of your hard work is going to go down the drain. And you may not ever be able to recoup your work. But if you focus on building your website instead, it doesn’t matter what social media channel comes and goes, you’ll always have that hub your people or “tribe” can flock to to regroup. It won’t be as difficult, or take nearly as long, to create a new community. Think about this too; the more time you spend working on creating excellent content, the less social media work you’ll actually have to do. If your content is good then your readers will share it for you. You won’t have to push it so hard yourself. But if all of your time upfront is spent trying to build your social media presence instead of letting it happen naturally on it’s own, it’ll be difficult to write that excellent content, much less write enough of it to get any traction. Or promote it. 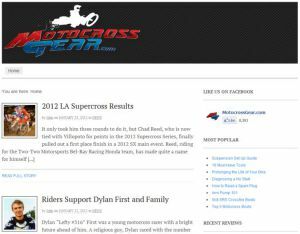 For example, I write for a website that focuses on motocross gear. I wrote an article the other day breaking down the cost of a famous rider’s bike. All we did was post the link on our Facebook account and tweeted about it. The rider (and his team) found the article and shared through their social media outlets. By the end of the day we boosted our Facebook fan base by roughly 800, or 12%. In one day we did that. You’d have a difficult time doing that (naturally) without having an excellent resource in place first. You’d have to leverage your other contacts, websites or go to Fiverr and get a couple orders of fans for $5. But by focusing on writing content first our peers, readers and fans did most of the work for us, leaving us to do the most important tasks — creating compelling content that they want to read. I think a big concern for people is driving traffic and losing those potential fans or followers forever. That doesn’t have to happen. Just like before we had social media, you can encourage people to sign up to your RSS feed or via email. Once you feel like you’re at the point where you can participate on Facebook or Twitter without negatively effecting your fans or your work, then create a post announcing your new page, or send out an email to let everyone know about it. You don’t have to let the traffic go to waste, and I think this is a better alternative to neglecting your fans and followers and losing them for sure. Anyway, the point is that your social media goals can be easier to accomplish if you focus on the tasks that generate you the largest ROI. And if done correctly, the time you put into your website should do this. I certainly don’t want to discourage anyone from building a social media presence, and for some of you that post 1-2 times a day (or more), you can probably start yours sooner than later. It’s those of you that post 1-3 times a week that might want to wait until they’ve created a solid foundation first. This of course is all my opinion, but I’m definitely in the camp that would prefer to build my sites out first, then focus on my social media channels second. But what about you? Which do you think you should work on first, and why? Do you do both (successfully) at the same time? Tell us all about it. There are a lot of things to consider before jumping to the conclusion that your business needs social media. Some people don’t realize that having a profile in different social networking sites means exerting more of time and effort.If you really want to have a very fruitful outcome in your campaign, you must focus on your website and think of the strategies that will help you achieve your goal.Great article Matt! I agree with all the points you made here. You have to give people enough reason to follow you and it’s more effective, in my opinion, to build a community on your own hub first, then reach out or engage through social media.